As stated in the The 5th edition of PMBOK from the Project Management Institute (PMI), "It is critical for project success to identify the stakeholders early in the project or phase and to analyze their levels of interest, their individual expectations, as well as their importance and influence." This article mainly focuses on stakeholder expectations aspect mentioned. To do so, some basic concepts on stakeholder management will be introduced and explained. The expectancy theory is introduced to establish basic understanding of expectations. A closer look is taken on how different stakeholders will have different expectations within a project, how these stakeholders need to be categorized based on the interest and influence on the project, and how to successfully manage the expectations of different types of stakeholders. Different methods and tools on how to align and manage expectations are introduced and explained. Furthermore, those methods are categorized based on when in the process they are relevant and for what type of stakeholder they are relevant. Limitations to the whole process are discussed, in particular the fact that projects vary immensely in size and time-span, as a result, all of the tools can not be used for every project. Project management is used across the world, in all sectors and industries. Project management is used to improve project results through different stages of the project lifetime. In the context of project management, expectations management relates to the stakeholders in the project, which then is a concept within the general concept of stakeholder management. ISO 21500 defines a stakeholder as, "Person, group or organization that has interests in, or can affect, be affected by or perceived itself to be affected by, any aspect of the project. . As a project is a temporary endeavor with a defined beginning and end, expectations management is extremely important and needs to be considered from the first phases of a project and through out the project lifetime. This article however will mainly focus on the planning phase of project management and therefor, although reactive parts of the stakeholder management will be touched upon, the main focus will be on proactive methods and tools. Project stakeholder management was added as the tenth knowledge area in 2013 by the project management institute. . Project stakeholder management was formerly part of the project communication management knowledge area. This shows clearly the increased emphasis being put on stakeholder management in later years. This also suggests that project management is moving more in the direction of stakeholder expectations management and away from managing products and deliverables. Furthermore, recent literature suggests that project success is in large a result of stakeholder management. .
As expectations management is different between the different types of stakeholders, a closer look will be taken into stakeholder management to be further built upon. Identifying the stakeholders of a project is of great importance, especially the ones who are defined as the major stakeholders. The stakeholder circle is a methodology designed to include stakeholder management in project management. This methodology has the following five steps in terms of stakeholders: Identify, prioritize, visualize, engage and monitor the stakeholders. The first step here is very relevant for this article. Identifying the projects stakeholders and understanding their needs will play a key role in understanding and managing their expectations throughout the project. 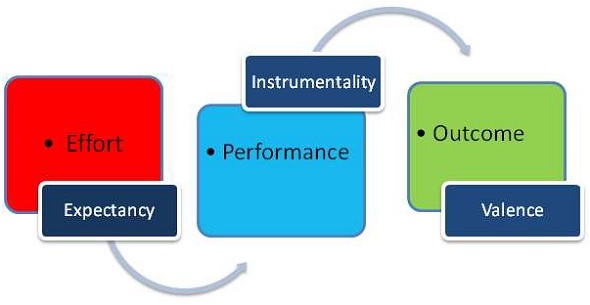 The iron triangle of the project environment states that success equals "On time, on budget and delivering the specified scope"
Expectancy theory was formulated by Victor H. Vroom in the 1960s. This is still today a very popular theory within motivation management, as it focuses on all three parts of the motivation equation: inputs, performance and outcomes. The theory claims that individuals will behave in a certain way based on a desirable outcome, related to that behavior. The theory identifies three major factors determining a persons motivation. Stakeholder management is one of, if not the most important task in successfully managing projects. When planning the management of stakeholders, the project manager is looking into how the project will affect the stakeholders, by doing so, the project manager can plan ways of engaging those stakeholders relevant for the success of the project in a positive way. Properly identifying stakeholders of a project early on and mapping them, allows the project manager to allocate his time appropriately between the stakeholders. The process of stakeholder management will be broken down into different phases. Each phase is explained, using the appropriate theory and tools. The actual inputs and outputs of each of those steps are for the most part scoped out of this project. The first step in planning stakeholder management is to identify the stakeholders of the project. One way of doing this is iterative meetings with known stakeholders in order to identify further stakeholders. For example, the first meeting would be with the key stakeholders from within the project team. Those identified in that meeting would then be invited to a new meeting together with the member of the first meeting to see if further stakeholders can be identified. This then should be done until all stakeholders have been identified. Expert judgement  can also be used to identify stakeholders. Groups or individuals with expert knowledge within the scope of the project can for example be used to identify possible stakeholders, and their role in the project. This group or individuals can be from within the project team, or as is more common, an outside hire with the special knowledge and skill set. Stakeholder analysis is used to map all the stakeholders of a given project, to do so, qualitative and quantitative information needs to be gathered. This information is then used to evaluate each stakeholder. Stakeholder analysis generally follows three steps. .
Identify all relevant stakeholders. Already described in the stakeholder identification section above. Analyze stakeholder impact or support. This can be very important in terms of expectations management. Assess how key stakeholders are likely to respond in various situations. This is more of an retrospective approach and is intended to prepare the project manager on the best way of dealing with unforeseen problems during the lifetime of the project. Once all of this data has been gathered and processed there are many different ways of mapping the findings. One of the most popular ones, and the one used in this article is the Power/Interest grid. A Power/Interest grid is most commonly split up into four quadrants as can be seen in figure 2. Lower left quadrant is the so called monitor quadrant. In this quadrant, stakeholders who have both low interest and low power over the project are placed. The project manager should as it states monitor them, but use as little effort as possible on these stakeholders. Lower right quadrant is the keep informed quadrant. Stakeholders ending there have high interest in the project without having much power or influence. Upper left quadrant is for those stakeholders having a lot of power in the project without necessarily being very interested in it. Lastly the upper right quadrant has arguably the most important stakeholder group and therefor the one most time should be used on satisfying. Those are namely the stakeholders with a lot of interest in the project and great power over it as well. Another methodology used to map and or categorize stakeholders is called the stakeholder circle. One of the tools represented here is identification, where the stakeholders are split into 4 types from the perspective of the project manager. Despite the name, this tool is placed under stakeholder mapping and can be seen in figure 3. Upwards: This concerns the Senior managers of the company. Those are the stakeholders that secure the internal commitment of the company to the project. Often these stakeholders have high power over the project without necessarily having so much interest in it. Thus they should be kept satisfied, and if possible, the aim should be to increase their interest in the project to make sure the continued internal support of the project. Outwards: This is in most cases the biggest group out of the four and includes all the external stakeholders. Depending on the project this group could include governments, unions, shareholders, customers, suppliers e.c. Because of the versatile nature of this group and the different types of projects it is very difficult to place the group as a whole in any one part of the power/interest grid. Those stakeholders are likely to be spread out over the grid. Sidewards: Peers of the project manager, such as other project managers. this group can generally be placed in the lower left quadrant of the grid, and minimum effort should go into the stakeholders of the group, although it can be beneficial to the project to try and move those stakeholders further to the right to increase the internal drive of the project. Having successfully finished the previous two phases, the key stakeholder groups can now be examined in more detail and their expectations researched. As previously mentioned, the planning phase of any project should never be underestimated and furthermore, the expectations management of identified stakeholders should be a big part of the planning process. This includes identifying what values are important to the key stakeholders and it should include seeking out ways to deliver them in a timely manner. Expectations of key stakeholders, not planned for, which are discovered later in the process, can prove both very costly and time consuming, which in return can lead to the snowball effect of the project not being able to meet the expectations of other stakeholders in terms of cost and time. This third phase in the stakeholder management plan can be a time consuming one. This is mainly because identified stakeholders, although well aware of their role in the project, often do not know their own expectations towards the project. This phase can therefor depend heavily on the skills of the project manager, in particular his interpersonal -and communication-skills. Even though there are tools available for this process, the project managers soft skills, and his abilities to understand the expectations of his key stakeholders can prove to be more important than any of them. Expectations are often communicated non-verbally and do therefor require certain skills of the project manager. Those people and communication skills can again prove priceless in situations where unexpected and or unforeseen expectations arise later on in the project. In such cases the ability of the project manager to properly communicate and manage the change in the project, heavily rely on the mentioned personal and communication skills. This is a useful tool to identify expectations of different stakeholders. 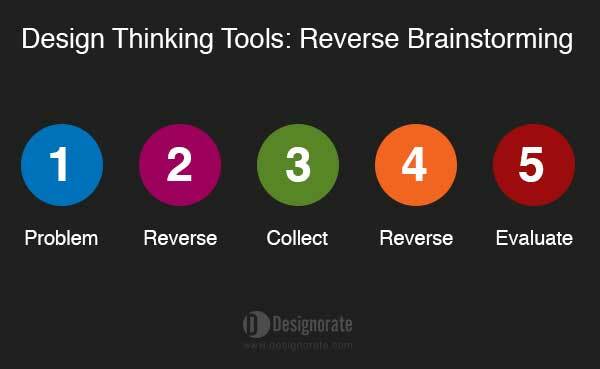 It is a tool that utilizes the concept of brainstorming in a reverse and a creative manner. As previously mentioned, stakeholders often do not know what expectations they have from the project. Thus, pushing them to think in a unique way about the problem often gives remarkable results. Reverse brainstorming follows five simple steps , depicted in figure 04. Firstly the stakeholder is forced to think about the expectations in a reverse manner, as in, what results or scenarios should be avoided, what would deem the project unsuccessful? This data is collected and analyzed. After finding out what actually has a negative effect on the project, those results are flipped around and made into reachable goals, representing the expectations of a given stakeholder. Once data has been collected from identified key stakeholders, a strategy to satisfy the majority of those expectations should be devised. Once the reversed brainstorming process is finished and all of the stakeholder expectations have been identified, the next step in the process is to find out which expectations it is feasible to meet. As the expectations of each stakeholder will be different to the next, and in many cases expectations of different stakeholders will contradict each other, the project manager now needs to find a smart way of categorizing the expectations and deciding which ones to satisfy. The hundred dollar method is a very straight forward and helpful method when multiple stakeholders are involved, even in all its simplicity. Each stakeholder gets a conceptual 100 dollars. The stakeholder then distributes the dollars between the requirements in question. The stakeholder could choose to put all 100 dollars on a single requirement they consider very important. That then means that the higher the amount allocated to a requirement, the higher the priority or value of that requirement is. This method has its limitations, as you can only do this with stakeholders with relatively similar requirements. Lastly, reactive expectations management needs to be considered. No matter how well a project is planned, the likelihood of new and or unforeseen requirements is high. For example, as the project moves along, new stakeholders can be identified with changing stages of the project, or changing surroundings, which the project manager has no control over. In such cases, the interpersonal skills of the project manager as well as his communication skills play a big part in controlling the situation. The iron triangle is a useful model to understand what effects changing expectations can have on a project. It contends that the quality of a project is constrained by the scope, schedule and cost of the project. Furthermore, it states that changing any of the constraining factors necessitates a change in at least one of the other two constraints in order for the quality of the project to stay unchanged. For example, cutting in a project budget without changing the scope or the schedule will come down on the projects quality. Stakeholder diversity: Once projects grow in size, especially in terms of stakeholders, it becomes increasingly difficult to satisfy every stakeholder involved. It has been debated for a long time weather the ability to satisfy one stakeholder group always comes at the expense of another stakeholder group or not. More recent studies argue that the following three primary stakeholder groups can be satisfied all at the same time, employees, customers and owners . However, as the number of stakeholder grows within a project, program or portfolio, and even as the 3 mentioned primary stakeholder groups grow, the task of meeting everyone's expectations becomes more and more difficult. Varying projects: The general nature of this article, and the fact that it does not target projects within specific sector or industry, nor does it limit itself to any specific size of projects, makes it impossible to follow blindly step for step. It is more about presenting general theory and tools used in expectations management. It is up to the reader to identify if all of the content is applicable in a specific project. Stakeholder Expectations management is a concept impossible to cover without also touching on other aspects of stakeholder management, to build on. Firstly stakeholders need to be identified, categorized and mapped. Once this is done, the actual process of expectations management can begin. Different tools were identified and introduced to help this process, all the way from expectations identification, through expectations mapping and prioritization, and to reactive expectations management. Too much emphasis can never be put on the planning phase of a project, expectations management is no exception to this rule. Properly planning the whole stakeholder management process can truly define a project success. This article is not bound to any specific field and is considered to be a general framework applicable to different fields and industries. Looking back at the expectancy theory introduced earlier, it is now clear that if project stakeholders believe their expectations will be met in a project, they will invest the resources expected of them to fulfill the project. Furthermore, looking at the retrospective actions taken under way, the stakeholders instrumentality should be secured resulting in the desired outcome. The Chapter, Motivation, looks at motivation from a general perspective within management. It looks in depth at a few key models and theories within motivation management, and one theory in particular, expectancy theory looks into the relationship between individuals efforts and the individuals believes in those efforts resulting in something desirable for him or her. This was very much the starting point for this article. The chapter, Project Stakeholder Management, gives a good overview of the the whole process, identifying and planning stakeholder management, managing stakeholder engagement and controlling it underway. Given the good and modern structure of this chapter, it can be seen how the article follows similar setup. Advising upwards: managing the perceptions and expectations of senior management stakeholders. This article explains the Stakeholder circle methodology very well. It categorizes the stakeholders nicely and in combination with the power-interest grid helps correctly placing the stakeholders. Furthermore, it offers further reading on managing the senior managers of a company in a project. ↑ Schibi, O. (2014). The expectations manager: The future of project management: The future of project management. Paper presented at PMI® Global Congress 2014—North America, Phoenix, AZ. Newtown Square, PA: Project Management Institute. ↑ Jones, Gareth R. & George, Jennifer M. (2015). Essentials of Contemporary Management. 6th edition. ↑ Project Management Institute. (2004). A guide to the project management body of knowledge (PMBOK guide). Newtown Square, Pa: Project Management Institute. This page was last modified on 9 November 2018, at 15:53.